New Delhi: Technical disruptions in the first-ever online common admission test (CAT) for the premier Indian Institutes of Management (IIMs) and other business schools continued for the fourth day on Tuesday. The online examination was launched on Saturday and was scheduled to continue till 7 December. Not fewer than 240,000 candidates have applied to take the test. 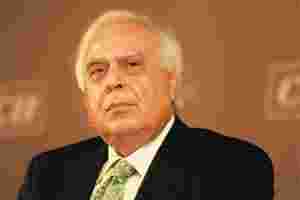 Human resource development minister Kapil Sibal, who oversees education, told reporters that 8,297 candidates out of 45,367, or 18%, have been affected so far. “That is a very large percentage," he said. Students whose tests were cancelled were concerned that they will not be able to appear for it again within the 10-day window. Many said they had not yet been contacted by Prometric Testing Pvt. Ltd, which is conducting the online tests. “I don’t know what will happen," said Astha Gupta, 23, a candidate who Mint has kept in touch with since Sunday. Gupta could not write her test in New Delhi on Saturday as her computer failed to work 1 hour into the test and could not be restarted. She said she had no information about her taking the test again till Tuesday evening. In Bangalore, a candidate in one of the test rooms which was shut down after technical disruptions that did not allow any of the aspirants to write the test on Saturday said she had no information about a retest. “No one has been contacted," said B.U. Chaitanya, 24. She said she had talked to some candidates in her test room and none of them had heard from Prometric. The local arm of the US-based testing company Prometric Inc. and the IIMs have assured rescheduling of the disrupted examinations. “On behalf of the IIMs, I would like to guarantee all the students who have not been able to take the exams due to the glitch that they will be rescheduled. If we do not do that, we have failed to do our duty," IIM Ahmedabad director Samir Barua told the media on Monday. Prometric and the IIMs have said the technical snags are due to virus attacks. But test prep companies have said the problem occurred because Prometric was not adequately prepared to handle the load on its servers of a large number of candidates. IIM Ahmedabad on Tuesday submitted a report to the government on the disruption. The government faced flak in Parliament on Tuesday on the issue, but said it could not do much as the IIMs are autonomous institutions. Member of Parliament Sushma Swaraj, leader of the main opposition Bharatiya Janata Party, severely criticized the technical glitches. “Mouse has eaten the CAT," she said.